Who knew? But, April is National Letter Writing Month. Get in the swing of the letter writing spirit by sprucing your stationery stash. There are so many lovely stationery pieces to choose from! Challenge yourself to write 3 pieces of handwritten mail before the end of the month. Drop a line for a friend's birthday, a baby shower, HBD or just thinking of you. 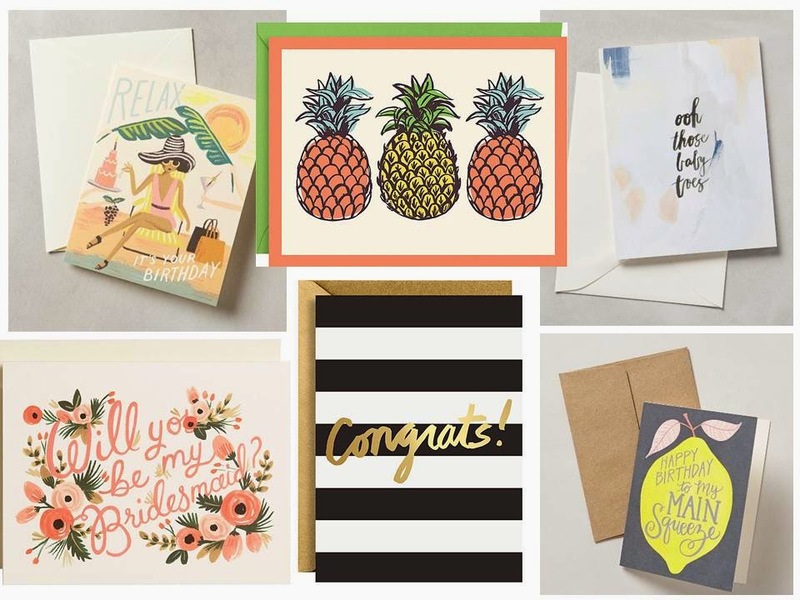 Paper Source, Anthropologie, Target and local boutiques. Collecting stationery is fun and fashionable. Buy a box to keep your stationery organized. Build a small stationary/card collection for every occasion. That way, you'll never have to make a last-minute trip to the store!